This week’s free audiobooks from SYNC bring us an old tale with new twists and the ‘rest of the story’ of an old favorite. 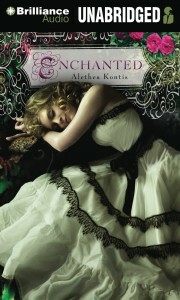 The first book in the Woodcutter series is filled with fairy tale characters you’ll recognize and spells and prophecies – my no-spoiler review of Enchanted is here. 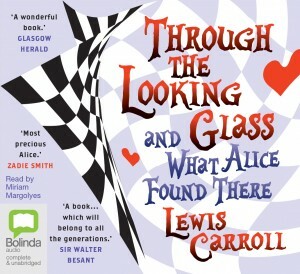 And Alice’s further adventures after returning from Wonderland are recounted as she steps Through the Looking Glass to meet nursery rhyme friends and a terrible enemy. Be sure to download these free, full-length audiobooks with professional narration by Wednesday, August 14; this summer’s last YA and classic audiobook pair goes live for download on Thursday, August 15. Which fairy tale or nursery character would you like to meet ‘for real’? ← Thanks for the Shout-Out!